Below you will read an example TOK essay. 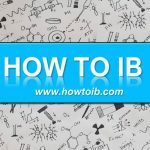 More information on this essay and how to write your own TOK essay can be found in the TOK Essay Guide. “Knowledge within a discipline develops according to the principle of natural selection.” How useful is this metaphor? My knowledge question is as follows: To what extent does the development of knowledge resemble natural selection? I define a discipline as an area of knowledge, and in this essay, natural science and arts will be evaluated. Moreover, it is important to define natural selection. Darwin’s theory of evolution, is based on three main principles: (1) organisms produce offspring with inheritable traits, (2) organisms produce more offspring than can survive due to limited resources and (3) offspring whose traits better suit the environment, survive and reproduce (APS). In my opinion, these principles amount to the main idea: survival of the fittest. In the case of knowledge, offspring would be the knowledge derived from earlier discoveries/knowledge, which would be the organism. ‘Fittest’ could be interpreted as how much we value certain knowledge based on its applications, provided that it is proven or justified knowledge. Therefore, the ‘fittest’ knowledge is the knowledge that survives. Within the natural sciences, one could argue that it develops according to the principles of natural selection because the best ways to explain a phenomena are passed on. However, it can also be said that two explanations are equally good and therefore both passed on. Within the arts, it can be argued that what we see and think of art is influenced by the applications of the knowledge by our ancestors. However, it can be said that nowadays art is a free medium, which is about personal development, and with social media, everyone can make art. Several perspectives in relation to the natural sciences and art will be discussed, in order to answer the knowledge question. Knowledge within the natural sciences develops according to the principles of natural selection, as the best models are passed on and used, best being defined as the most valid and simplest. Within the natural sciences, multiple theories exist on the same topic, and these theories can be represented by multiple different models, however, only valid theories and the simplest models will be passed on. There is a principle by a philosopher Ockham (Duignan), called Occam’s razor, stating: “Entities should not be multiplied unnecessarily” (Bylikin, Horner and Murphy). This means that, if competing theories, both valid and containing the same predictions, the simplest one is better, until new discoveries show otherwise. Secondly, knowledge within the natural sciences can evolve. As not everything within the sciences can be observed through sense perception (for example, not everything in astronomy can be experimented with or observed, and neither can science be studied on atomic levels), there are a lot of theories which are not proven yet. However, as time progresses (along with technological discoveries), so does science and using new technology and techniques, we can study science to a higher degree of accuracy. This already lead to falsification of theories that scientists of the past came up with. Only the best theories, which are falsifiable, repeatable and justifiable, will develop further (numerous scientific journals are not approved and published). An example is the evolution of the atomic model. The original theory by Dalton in 1808, stating that atoms were tiny balls, was elaborated by Thomson, who discovered atoms were made of smaller things, like protons. More research by Rutherford showed that atoms were mainly empty space and had a dense nucleus. This was taken further by Bohr, who showed there were negatively charged particles around the nucleus in shells. Later, Chadwick in 1932 showed there were neutrally charged neutrons as well (Evolution of the Atomic Model). These discoveries show that knowledge evolves and only the best knowledge survives. Other theories that arose but where proven to be false, like the plum-pudding model by Thomson, are less known and in the first place not taught to the next generation, and is not used for further research. However, sometimes principles like Occam’s razor, fail to identify the best theory to explain phenomena that are observed. Sometimes, two theories are equally good in explaining an observation, and sometimes we do not know which one is more valid because we cannot research it to that extent. In those cases, both theories or models will survive and be passed on to further generations. Which contradicts the principle of natural selection that states that only the theory that is better adapted to the environment will survive (3). An example of this, are resonance and delocalization structures for chemical bonding, which are both taught in IBDP chemistry. Figure 1 shows both ways of representing the same theory, namely that there are alternating double and single bonds in a benzene ring. Both ways have advantages and disadvantages, but both are taught because they are said to be equally good. Therefore, in this case, knowledge does not follow the principles of natural selection. However, this counterclaim is weaker compared to the claim, since it cannot be definitely concluded which theory will survive. More discoveries might be done in the future, which will falsify one or prefer one theory over another. Knowledge development within art follows the principle of natural selection, as our perspective on beauty is largely defined by our ancestors. According to Denis Dutton, a philosophy professor, beauty is related to what our ancestors found beautiful, and is related to knowledge that is useful to know. The trick that Dutton mentions in one of his talks is that nature’s way of making sure something survives, is to make it look like something useful, which evolved to become our idea of beautiful. Personally, like many others, I like diamonds and other shiny objects. The reason for this is evolutionary, as our ancestors saw the shiny water (lit by the sun) and those who were attracted to it had higher chances of survival (New Scientist). This may have many reasons, for example, the sea provides us with fish. The most important knowledge, for example about the most threatening or prestigious objects, will get passed on to inform the next generation. Eventually, this knowledge will get integrated into our instinct and will become counter intuitive, like touching a flame. Other information that is less relevant, will have lower priority and false information will not be passed on. The principle of ‘survival of the fittest’ therefore applies and one can say that knowledge develops according to the principle of natural selection. One can say that the development of knowledge in art does not follow the principle of natural selection as art is a free medium and allows individual perspectives. Multiple art styles in a certain time period can be completely different from each other, showing no inheritance of characteristics. An example is the transition from photorealism (1848) to impressionism (1865). Whereas realism was accurately painted, impressionism was about representational depictions, independent of reality (like ‘Madame Monet’ by Monet). In figure 2, a comparison between the styles is illustrated. This also shows that art is a personal development rather than a general worldwide progress, as everyone uses their own style, using their own creativity and imagination. I agree with this perspective as art, in my opinion, can contain emotions and a story, which shows personal and mental development. One might also say that besides the personal development of an artist, art in general is not a progression (even though different art styles might be competing with one another). This fits in with the perspective of Dominic Harris, British artist/designer. He said: “It’s frustrating; if you go around Art Basel or other major fairs, there is very little innovation.” (Franklin-Wallis). However this can be opposed by the idea that media and the web has changed the arts completely. By allowing sharing of images, files and videos, the web has become overloaded with pictures, stories and videos. Dutch writer Connie Palmen said in an interview that nowadays, one does not need a lot of talent to break through and become a well-known artist, as it is easy to get attention via social media (Hoenjet). This suggests that art does not develop according to the idea of Darwin. Despite that a lot more talent might be needed to stand out, some people simply get famous by making stupid videos which go viral. I think these counterclaims do not weigh up to the claims and therefore I think the metaphor is weakly applicable to the development of knowledge in art. To conclude, knowledge within the natural sciences develops according to the principles of natural selection because the best theories and models survive and develop in further generations. Within the arts this is different. While the most useful knowledge survives, the development of knowledge does not resemble ‘survival of the fittest’, as multiple art styles can exist at the same time, especially in the presence of social media. There are many perspectives to this, like Palmen, and therefore artists, scientists and people with professions in other disciplines, might have opposing ideas. The concluding answer to the question to what extent the development of knowledge resembles the principle of natural selection, could therefore be that the extent depends on the area of knowledge and the freedom within that discipline. An area of knowledge that can easily be falsified, is more likely to develop according to natural selection, as has been discussed for the natural sciences. This could count for subjects like history. However, areas with a lot of freedom that depend more on emotional and personal perspectives, like the arts and ethics, are less likely to develop according to Darwin’s principle. Knowing this is surely significant. It made me aware of why I know what I know and how knowledge progresses. In conclusion, the metaphor is better applicable to natural science than arts. APS, American Philosophical Society & Philadelphia Area Center for History of Science. Darwin’s Big Idea: Natural Selection. 2009. 16 Jan. 2016 <http://www.pachs.net/dialogues-with-darwin/galleries/C1/>. Bylikin, Sergey, et al. “Chemistry.” Chemistry, IB Diplloma Programme. Oxford: Oxford University Press, 2014. 166, 330. Duignan, Brian. Occam’s Razor. 4 May 2015. 16 Jan. 2016 <http://www.britannica.com/topic/Occams-razor>. “Evolution of the Atomic Model.” n.d. Project Share Texas. 16 Jan. 2016 <http://www.projectsharetexas.org/sites/default/files/resources/documents/EvolutionOfAtomicModel.pdf>. Franklin-Wallis, Oliver. Wired, Dominic Harris: Interactive art will save our stagnated culture. 30 September 2015. 31 January 2016 <http://www.wired.co.uk/magazine/archive/2015/10/play/dominic-harris-on-designing-interactive-art>. Hoenjet, Hans. HP de tijd: ‘Je moet schrijven wat je hart je ingeeft’. 22 January 2010. 31 January 2016 <http://www.hpdetijd.nl/2010-01-22/je-moet-schrijven-wat-je-hart-je-ingeeft/>. New Scientist. Will We Ever Speak Dolphin? and 130 other science questions answered. UK: Profile Books, 2012. Figure 1. Hybridization versus resonance structures, explaining the alternating double and single bonds in a benzene ring. Figure 2. The first painting is Ophelia, by John Everett Millais, painted in 1851-52, and belongs to realism. The second painting is ‘Woman with a parasol’ or ‘Madame Monet’ by Claude Monet in 1875, and can be classified as impressionism. The contrast can be seen, which provides evidence that art is not an overall development, but more a personal development, as multiple art styles can exist at the same time. 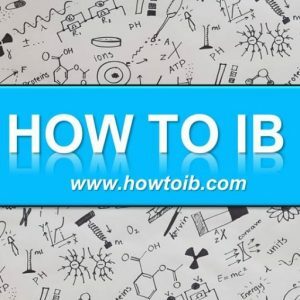 Thank you for visiting How To IB. If you have any questions regarding tuition, feedback on your IA, exam preparation or any of the products, do not hesitate to drop me a message. Keep an eye out for updates through the website or Facebook page!